A couple of recent stories about interactions between nonprofits and local watering holes have caught our attention here at NPQ. In Minneapolis, the nonprofit Healthy Brains for Children, which is dedicated to preventing prenatal exposure to alcohol, has decided to take its mission directly to bars. At the nonprofit’s request, Tom Fredrik, owner of Pub 500 in Mankato, Minn., has agreed to install a pregnancy test dispenser at his bar. “How many times have you heard people say, ‘Oh, I didn’t realize I was pregnant,’ and they weren’t trying to conceive?” asks Healthy Brains for Children’s Jody Allen Crowe. Her organization’s “think before you drink” campaign asks women to swipe a credit card and pay $3 to find out if they are pregnant before hitting the bartender up for a Cosmopolitan. Healthy Brains for Children’s mission is laudable, but we suspect that many people’s reaction to the barside pregnancy test might be similar to that of Pub 500 patron Crystal Dervetski. “I think it’s a little weird,” Dervetski told WCCO-Minneapolis. Meanwhile, another nonprofit bar experiment is taking shape in Houston. 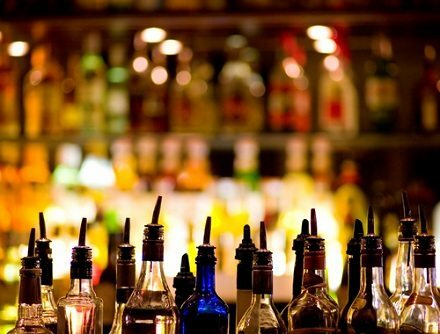 As local NPR station KUHF reports, a group of restaurant and bar owners are banding together to open a bar in downtown Houston that will deliver all profits to charities. While nonprofits have spearheaded this type of activity in the past, the group believes it is the first such collaboration in the nation in which food industry members have united to benefit a wide and rotating variety of local charities. Here’s how it will work: every time a customer buys a drink, they’ll have the chance to vote for a charity (out of four charity options available). The charity with the most votes at the end of the month will receive the bar’s profits for the month. The bar will rotate in a new group of charities each month.